Guess what day it is!?! 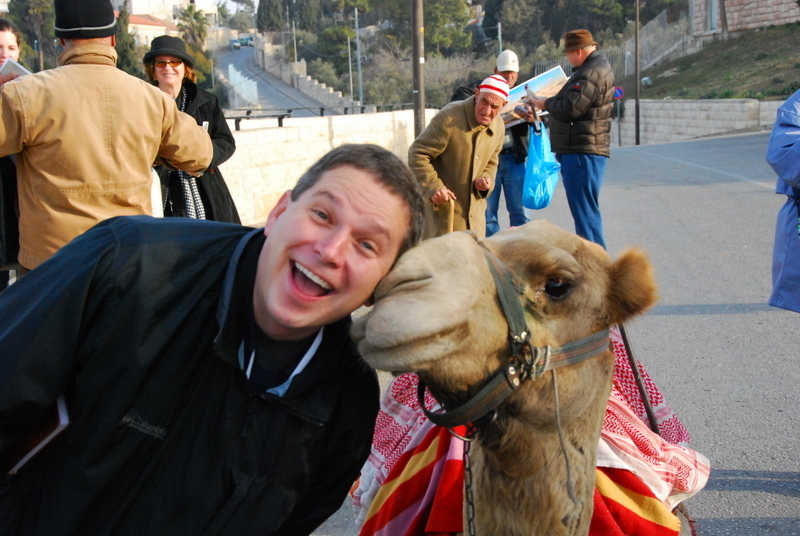 Camels have always liked me, for some reason. This one gave me a kiss while we were taking in the sights from the Mount of Olive in Jerusalem, Israel. Do you know what day it is? It is Friday. It is Hump Day! You may be thinking, “It is not Wednesday! Wednesday is the middle of the week! Wednesday is Hump Day!” True. However, it is a different sort of middle for us. 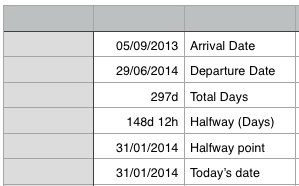 Today is the halfway point of our year in England. Hump Day! We mark this day with mixed emotions. We are very thankful for the time that we have had here so far. We have seen some wonderful things. We have met some wonderful people. We are very sad that our time with them is limited. We dread the day that we have to tell them goodbye. It also gives us a new resolve to treat our days and hours with these friends with extra care. We want to make sure we have seen and learned as much as we can from this wonderful place. There is so much left to do. We also miss our family and friends in America. We miss the Gulf Coast, familiar foods, and places. We miss our school and classmates and all the wonderful times with them. We are excited that we are “halfway home” to seeing the smiling faces of those closest to us, petting the dog and the cat, riding our old pony, and grabbing “good to see you again” hugs that last a long time. We miss sweet tea that can easily be mistaken for pancake syrup, fried okra, red snapper, and Chic-fil-A milkshakes and waffle fries. The halfway point brings mixed emotions for me in regard to my research. I have accomplished a comfortable amount of work so far. The reminder that the time is nearly over urges to me work extra hard in the limited days that remaining. Yes, I will have two more years of full-time research work to do based in America. Yes, I will come back to Durham for periods of work. However, there are several resources and opportunities here that I will lose when we move away. 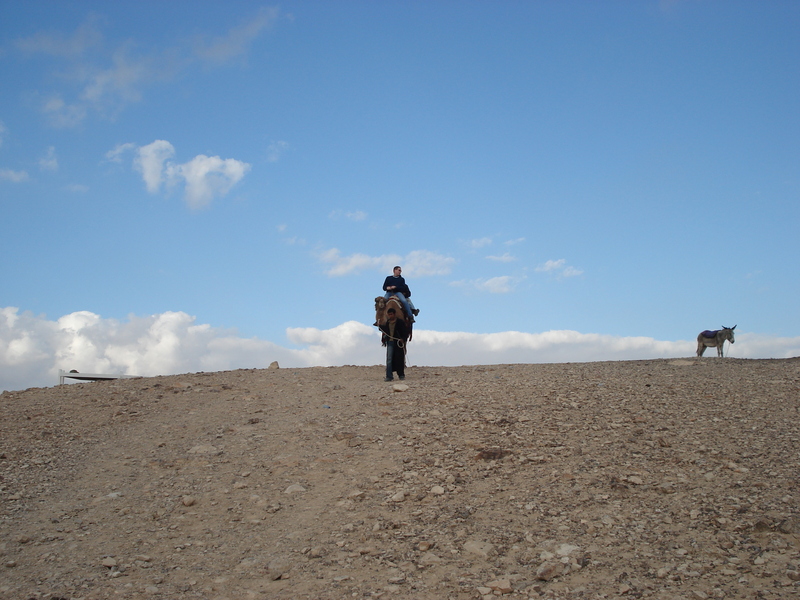 Rob surveying his flocks and herds in the Judaean Wilderness, Israel. From the hump of a camel’s back, of course. Our time, that which has passed and that which is still ahead, is so very precious to us. In the Monday-Friday work week, people often call Wednesday, the top of the hill, Hump Day. All the rest is downhill until Friday. On Wednesday you cannot worry what is behind you and only look forward to the easy slide into Friday. Some people dread Mondays and think that Friday will bring them all the happiness in the world. Years ago, I had some valuable lessons in not falling into that cyclical trap. Dreading one day and pinning all your hopes on another steals the joy out of each individual day. Yes, we can plan and expect and hope for special occasions. By all means, let’s do that. But why would we, week after week, want to give away the joys and blessings and lessons of this day? Today, Hump Day, is an extra precious day to us. I pray that we will treat every day equally as precious. What opportunities have you been given to treat this day to treat with extra care? People who can do magic with spreadsheets amaze me. So I decided to give it a go. Yea, “Hump Day!” Is an exciting day for me too,but on Wednsday.